SELF PARK! FULL DEALER HISTRY! FULL DEALER SERVICE HISTORY! 2 ORIGINAL KEYS! 12M FREE AA BREAKDOWN COVER! FULLY SERVICED & VALETED! 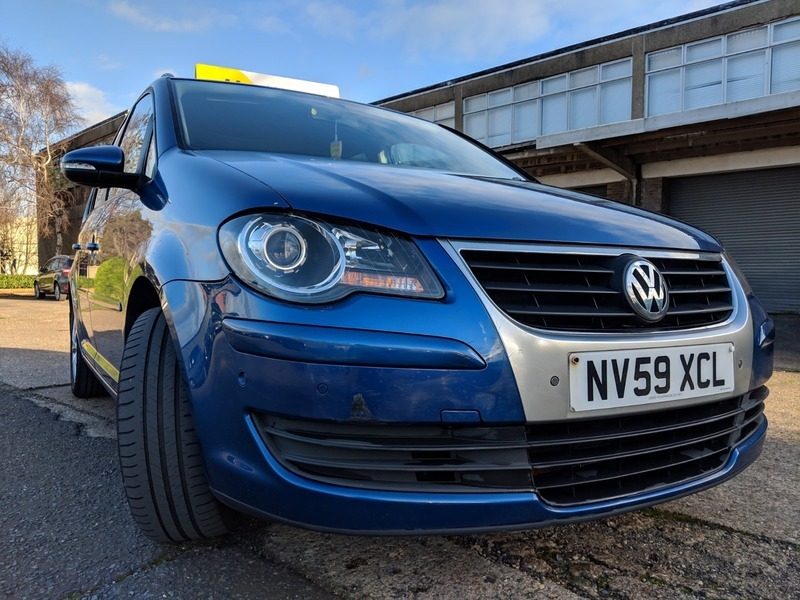 HPI CLEAR!, 3 months warranty, 12 months MOT, Last serviced on 20/12/2018 at 7,780 miles, Full dealership history, 12V Socket in Front and in Luggage Compartment, 3 Single Seats in 2nd Row- Foldable and 2 Single Seats in 3rd Row- Foldable, 8 Speakers, ABS (Anti - Lock Braking System) with HBA (Hydraulic Brake Assist), ASR (Traction Control), Air Conditioning - Semi Automatic, Alarm, Alloy Wheels, Four 6.5J x 16 Perth with 205/55 R16 Tyres and Anti-Theft Wheel Bolts, Body - Coloured Bumpers and Bump Strips, Centre Rear Seat Belt, Cruise Control, Cup Holders, Front x 2, Curtain Airbag System for Front and 2nd Row Passengers with Side Impact Airbags for Front Seats, Dash - Mounted MP3 Compatible CD Player, SD Card Reader and AUX - in Socket for Connection to an External Multimedia Source. Multi Device Interface (MDI), Including USB and iPod Connection Cables, Drivers Airbag, Drivers and Front Passengers Whiplash-Optimised Head Restraints, EDL (Electronic Differential Lock), ESP (Electronic Stabilisation Programme), Electric Windows, Front and Rear, Electrically Heated and Adjustable Door Mirrors, Electronic Engine Immobiliser, Exterior Temperature Gauge, Front Centre Armrest with Storage Compartment, Front Comfort Seats with Height Adjustment, Front Passengers Airbag with Deactivation Switch, Front Seats with Lumbar Adjustment, Glovebox, Cooled, Lockable and Illuminated and Front Under Seat Drawers, Head Restraints - 2xFront/3x2nd Row/2x3rd Row, Heat Insulated Tinted Glass from B Pillar Back, Heat Insulating Tinted Glass, 35 Perc. from B Pillar Back, Height and Reach Adjustable Steering Wheel, Hill Hold Function, Illuminated Sun Visors Mirrors, Instrument Lighting Blue, Adjustable Panel Illumin. and Interior Light Delay, Isofix Child Seat Preparation, Outer Seats of 2nd Row, Leather Trimmed Gear Knob and Handbrake Grip, Leather Trimmed Steering Wheel, Multi - Function Steering Wheel, Multifunction Computer (Highline), Multifunction Leather Trimmed, Park Assist And Parking Sen. Fr/Re, Park Assist, Sensor Controlled Steering Aid, Parking Sensor - Rear, Parking Sensors, Front and Rear - Ultrasonic Audible with Audio Volume Reduction when Activated and Optical Parking Display Via Vehicles Audio System, Power-Assisted Steering, Speed-Sensitive, RNS 310 Touch Screen, RNS 310 Touch-Screen Navigation/Radio System with 5in Colour Screen, Rear Screen Wash/Wipe with Intermittent Wipe, Remote Central Locking with 2 Remote Folding Keys, Roof Rails, Anodised Chrome Finish w. Black Inserts, Steel Finish Interior Trim, Third Brake Light, Tyre Repair Kit, Upholstery - Milo Cloth. 7 seats, Blue, 3 owners, CHEAP & EASY FINANCE AVAILABLE! FOR HONEST RELIABLE AA WARRANTY CARS! ALWAYS SERVICED & VALETED!